Following are the SQL Server Common Questions Interview Questions presenting here are collected from various students, professors, websites. 1. Which TCP/IP port does SQL Server run on? How can it be changed? Ans:- SQL Server runs on port 1433. It can be changed from the Network Utility TCP/IP properties. 2. What are the difference between clustered and a non-clustered index? Ans:- A clustered index is a special type of index that reorders the way records in the table are physically stored. Therefore table can have only one clustered index. The leaf nodes of a clustered index contain the data pages. 3. What are the different index configurations a table can have? 4. What are different types of Collation Sensitivity? Ans:- Case sensitivity - A and a, B and b, etc. 5. What is OLTP (Online Transaction Processing)? Ans:- In OLTP - online transaction processing systems relational database design use the discipline of data modeling and generally follow the Codd rules of data normalization in order to ensure absolute data integrity. Using these rules complex information is broken down into its most simple structures (a table) where all of the individual atomic level elements relate to each other and satisfy the normalization rules. 6. What's the difference between a primary key and a unique key? Ans:- Both primary key and unique key enforces uniqueness of the column on which they are defined. But by default primary key creates a clustered index on the column, where are unique creates a nonclustered index by default. Another major difference is that, primary key doesn't allow NULLs, but unique key allows one NULL only. 7. What is difference between DELETE and TRUNCATE commands? Ans:- Delete command removes the rows from a table based on the condition that we provide with a WHERE clause. Truncate will actually remove all the rows from a table and there will be no data in the table after we run the truncate command. 8. When is the use of UPDATE_STATISTICS command? Ans:- This command is basically used when a large processing of data has occurred. If a large amount of deletions any modification or Bulk Copy into the tables has occurred, it has to update the indexes to take these changes into account. UPDATE_STATISTICS updates the indexes on these tables accordingly. 9. What is the difference between a HAVING CLAUSE and a WHERE CLAUSE? Ans:- They specify a search condition for a group or an aggregate. But the difference is that HAVING can be used only with the SELECT statement. HAVING is typically used in a GROUP BY clause. When GROUP BY is not used, HAVING behaves like a WHERE clause. Having Clause is basically used only with the GROUP BY function in a query whereas WHERE Clause is applied to each row before they are part of the GROUP BY function in a query. 10. What are the properties and different Types of Sub-Queries? 11. What is SQL Profiler? Ans:- SQL Profiler is a graphical tool that allows system administrators to monitor events in an instance of Microsoft SQL Server. You can capture and save data about each event to a file or SQL Server table to analyze later. For example, you can monitor a production environment to see which stored procedures are hampering performances by executing too slowly. 12. 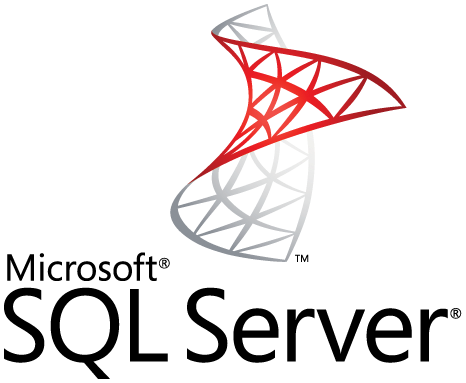 What are the authentication modes in SQL Server? How can it be changed? Ans:- Windows mode and Mixed Mode - SQL and Windows. 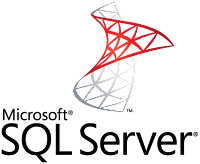 To change authentication mode in SQL Server click Start, Programs, Microsoft SQL Server and click SQL Enterprise Manager to run SQL Enterprise Manager from the Microsoft SQL Server program group. Select the server then from the Tools menu select SQL Server Configuration Properties, and choose the Security page. 13. Which command using Query Analyzer will give you the version of SQL server and operating system? Ans:- SELECT SERVERPROPERTY ('productversion'), SERVERPROPERTY ('productlevel'), SERVERPROPERTY ('edition'). 14. What is SQL Server Agent? Ans:- SQL Server agent plays an important role in the day-to-day tasks of a database administrator (DBA). It is often overlooked as one of the main tools for SQL Server management. Its purpose is to ease the implementation of tasks for the DBA, with its full- function scheduling engine, which allows you to schedule your own jobs and scripts. 15. Can a stored procedure call itself or recursive stored procedure? How much level SP nesting is possible? Ans:- Yes. Because Transact-SQL supports recursion, you can write stored procedures that call themselves. Recursion can be defined as a method of problem solving wherein the solution is arrived at by repetitively applying it to subsets of the problem. A common application of recursive logic is to perform numeric computations that lend themselves to repetitive evaluation by the same processing steps. Stored procedures are nested when one stored procedure calls another or executes managed code by referencing a CLR routine, type, or aggregate. You can nest stored procedures and managed code references up to 32 levels. 16. What is Log Shipping? Ans:- Log shipping is the process of automating the backup of database and transaction log files on a production SQL server, and then restoring them onto a standby server. Enterprise Editions only supports log shipping. In log shipping the transactional log file from one server is automatically updated into the backup database on the other server. If one server fails, the other server will have the same db and can be used this as the Disaster Recovery plan. The key feature of log shipping is that it will automatically backup transaction logs throughout the day and automatically restore them on the standby server at defined interval. 17. Name 3 ways to get an accurate count of the number of records in a table? 18. What does it mean to have QUOTED_IDENTIFIER ON? What are the implications of having it OFF? Ans:- When SET QUOTED_IDENTIFIER is ON, identifiers can be delimited by double quotation marks, and literals must be delimited by single quotation marks. When SET QUOTED_IDENTIFIER is OFF, identifiers cannot be quoted and must follow all Transact-SQL rules for identifiers. 19. What is the difference between a Local and a Global temporary table? Ans:- A local temporary table exists only for the duration of a connection or, if defined inside a compound statement, for the duration of the compound statement. 20. What is the STUFF function and how does it differ from the REPLACE function? Ans:- STUFF function is used to overwrite existing characters. Using this syntax, STUFF (string_expression, start, length, replacement_characters), string_expression is the string that will have characters substituted, start is the starting position, length is the number of characters in the string that are substituted, and replacement_characters are the new characters interjected into the string. REPLACE function to replace existing characters of all occurrences. Using the syntax REPLACE (string_expression, search_string, replacement_string), where every incidence of search_string found in the string_expression will be replaced with replacement_string.